Lionel Messi may have spent his summer trying and failing to win a trophy once again with Argentina on the field, but rival Cristiano Ronaldo has been having much more success, albeit off the field. Ronaldo is enjoying his summer as a single man for the first time in years after splitting with Irina Shayk just before winning the Ballon d’Or award, and was partying in Las Vegas when he found a mobile phone. 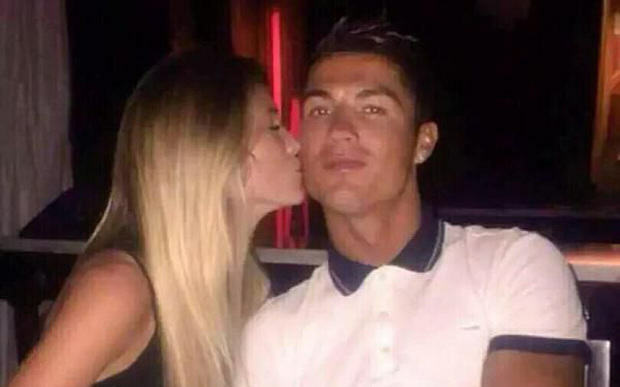 Said phone turned out to belong to the not too shabby looking Austin Woolstenhulme, and being the gentleman he is, Ronaldo got in contact with her to rectify the situation. 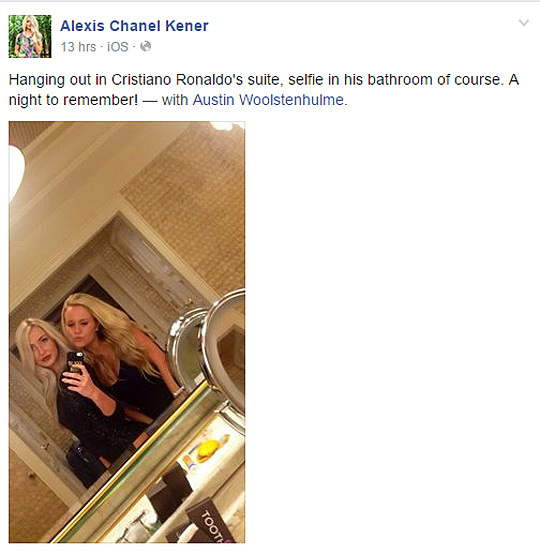 Not only did Ronaldo return the phone, he took Austin and her friends out to dinner and even invited them back to his hotel room, where they took a bathroom selfie and probably did a lot more. Ronaldo, who never seems to rest, then went to Japan to endorse a product that gives you amazing abs apparently. All just a week in the life of Cristiano.